Find out if this is the treatment that will finally rid you of unwanted hair. We all know how embarrassing it can be when hair crops up where it shouldn’t. While some people may find it easy enough to wax or shave periodically, if you have large or rather thick patches of unwanted hair you may be sick and tired of shaving regularly in order to mask this issue. This is when it might be a good time to talk to our Tulsa, OK, dermatologist, Dr. Lynn Anderson, about the benefits of laser hair removal. While anyone dealing with unwanted hair could be an ideal candidate for this treatment, no matter their age or ethnicities, it is important to acknowledge that some hair colors won’t respond as effectively to this treatment. This is because the laser picks up hair pigments to target and destroy the hair follicle. So while darker hairs will respond the best to hair removal treatment, those with gray or red hair may not get the results they want with this cosmetic treatment. There are a lot of advantages to choosing laser hair removal in Tulsa over other approaches. 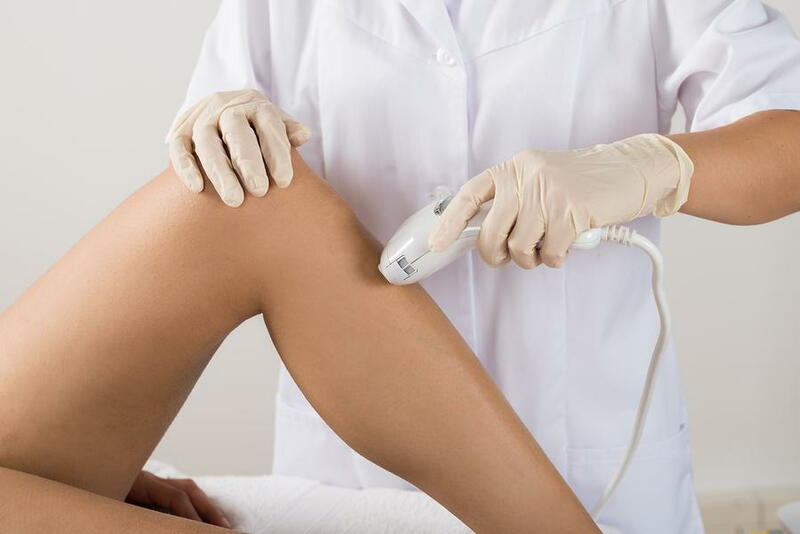 If you are sick and tired of waxing or shaving all the time (which isn’t only time consuming but can also be costly if you go to a salon regularly for professional waxes) then laser hair removal could finally provide you with the long-term results you want. Plus, this treatment won’t hurt a bit and it’s completely safe. We know that waxing can be painful and that shaving can often lead to unpleasant nicks, cuts and even ingrown hairs. The most you may experience during your laser treatment is minor stinging, which can be eliminated with a numbing gel, if necessary. This depends on multiple factors including the color and thickness of the hair, and how large the treatment area is. When you come in for your cosmetic consultation our Tulsa skin doctor will be able to tell you how many laser treatment sessions you will require to meet your goals. Whether you have questions about this treatment or you are ready to find out whether laser hair removal is right for you it’s never too soon to grab your phone and call Midtown Dermatology in Tulsa, OK, today to schedule your consultation.